Byram. Pronounced like the pioneer Church of God family, but spelled with an a. Home to fewer than eight thousand residents, it’s often overshadowed by the larger capital city to its north—Jackson, Mississippi. But Byram has no reason to be ashamed. Not only does it boast a unique, historic suspension bridge, but it’s also home to a vibrant Church of God congregation known as Crossroads of Life. Like the International Youth Convention, their goal and motivation is life change in Jesus’ name. From their intensive discipleship training weekends, to their food pantry and apartment ministries, transformation is on the move in Byram, and it’s picking up momentum. Exhibit A: Men’s and women’s Encounter weekends. Two times each year, the church hosts an Encounter for men, and two times each year they host one for women. A packed schedule of worship, teaching, and testimonies provide attendees the setting for life-changing decisions to be made. The weekend focuses on repentance, freedom from the past, forgiveness, putting Jesus first, the Holy Spirit’s role in the Christian walk, true self-worth, spiritual warfare, godly men and women, godly marriages, and godly families. Some are saved, some are baptized, and none are left behind. Because it’s all about sustainable life change, men are connected with other men and women are connected with other women in a mentoring relationship. It’s called “post-encounter” and it supports the new or growing believer’s decision through accountability and encouragement. Exhibit B: Urban missions. 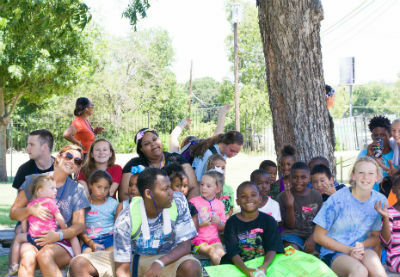 A few summers ago, the church began hosting mission trips to city centers like Nashville, Tennessee, and Dallas, Texas. Instead of reinventing the wheel, they partner with existing local ministries to serve. Each morning before outreach, they focus again on the church’s underlying theme of discipleship. Evenings conclude with celebratory worship services. Every year, the effort recruits more and more participants as the ministry gains momentum. This year, for the first time, the church is planning to partner with another local church from the Byram area and do mission together in Memphis! 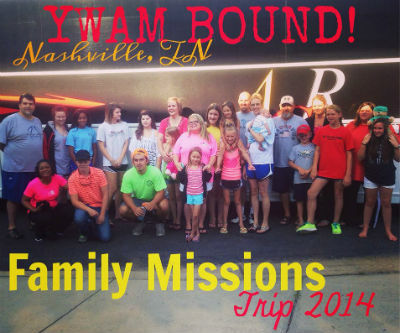 Photo: Urban missions trip to Nashville. Another aspect of the church’s heart for local missions has taken them to a local apartment complex. They’ve essentially adopted the apartments, hosting monthly community events onsite. Just in time for Easter—the classic egg hunt. Addressing the need of poverty and hunger, Crossroads of Life Church took it upon themselves to launch the local food pantry, now called My Father’s House. After Hurricane Katrina hit in 2005, the need became abundantly clear, and this local Church of God congregation filled the void. But they’re not doing the work alone. Multiple churches from various denominations now partner with the Church of God congregation as they lead the way to reclaim their neighborhood for Christ. 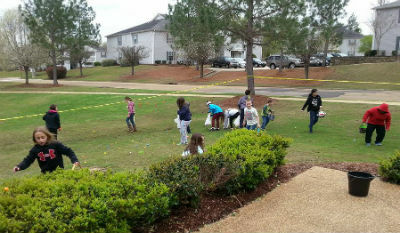 This entry was posted in All Church of God, Southeast and tagged apartment complex, Byram, Crossroads of Life, discipleship, Easter egg hunt, Encounter weekends, food pantry, Mississippi, outreach, Trey Hammond, urban missions. Bookmark the permalink.